Home » A Consumer Guide to Solar Panels in 2019 » Is my property suitable for solar panels? 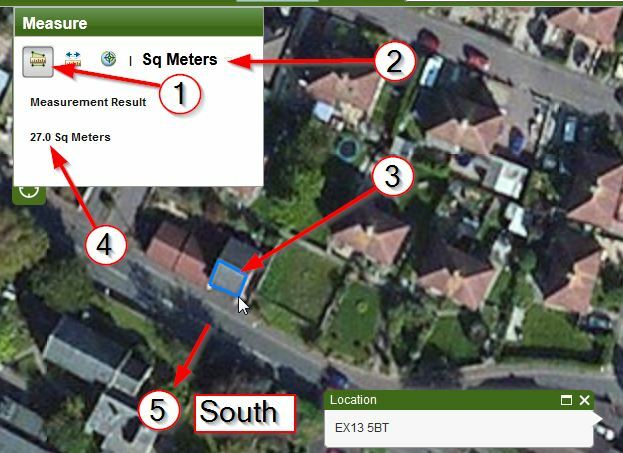 This feature enables you to locate your property, work out the available roof area and the direction it faces in. Search for your property, when you have located it use the measure tool on the top bar to measure the area of your roof in Square Meters. The map faces north so you can see which direction your roof is facing. This will give you an idea of how many solar panels you can fit on your roof and if it is facing in the optimal direction to benefit from this technology.